It has withdrawn grants from public universities and pushed them to take loans instead. The Bharatiya Janata Party’s 2014 manifesto promised a restructuring of the University Grants Commission, which regulates higher educational institutions in India. Four years and several false starts later, in July 2018, the Modi government drafted a bill to scrap the Commission and replace it with a Higher Education Council of India with different composition and functions. This bill is yet to pass, but other initiatives taken by the Ministry of Human Resource Development have significantly altered the higher education landscape. It has practically replaced grants to universities with loans for infrastructure development, clearing the way for private investment in public institutions. It has freed some institutions from the Commission’s regulatory grip, including six “Institutions of Eminence”. 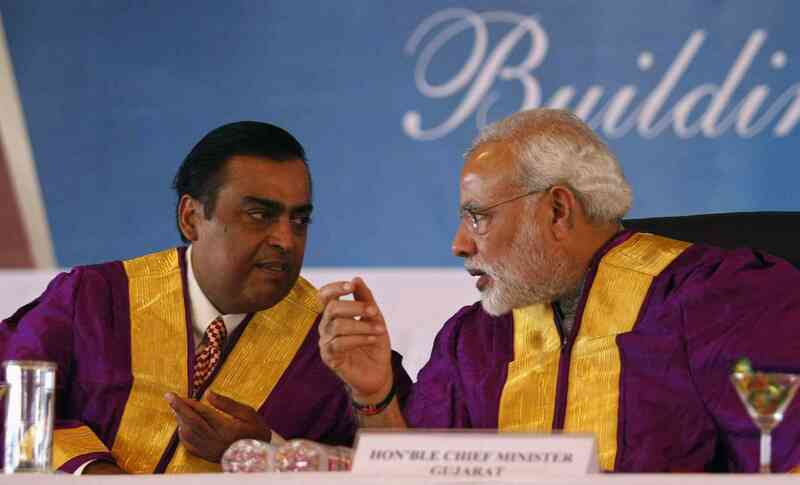 One of them is the non-existent Jio Institute that the Reliance Group plans to set up. At the same time, the Commission prescribed more regulations to standardise syllabus, research programmes and even discipline – issues that universities earlier dealt with internally. One of the new government’s first actions upon taking charge in 2014 was to roll-back the four-year undergraduate programme in Delhi University. It had been introduced by the previous government in 2013 and was highly unpopular. But relief at its withdrawal short-lived. The move signalled the erosion of the Commission’s authority as an independent regulator – it had supported the four-year programme earlier but changed its stance after a change in government. The very next year, with even less preparation, the government imposed a similar choice-based credit system upon all Central Universities, despite resistance from teachers. Central universities, which used to design their syllabus independently, were forced to adopt a largely uniform syllabus. The Commission said this would improve standards across universities. But many saw this as further evidence of the shrinking autonomy of universities. In 2016, the Commission framed new regulations for research programmes like MPhil and PhD, converting written entrance tests into qualifying exams and increasing the importance of interviews. 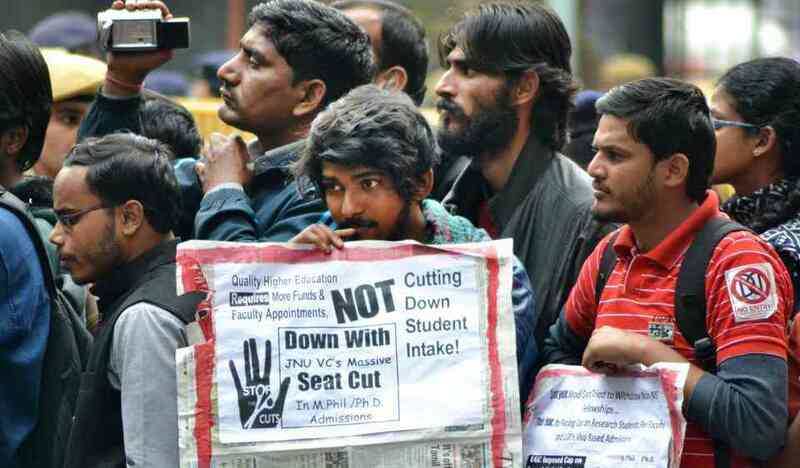 Students from disadvantaged backgrounds in Jawaharlal Nehru University protested, arguing it would harm their chances of getting into the programmes. Students challenged the policy in the Delhi High Court. In October 2018, the court ruled in their favour. The Commission amended its regulation soon after. A second regulation fixed the number of research candidates that a faculty member could supervise at a time. This led to research seats dropping across universities, most dramatically at JNU which opened admissions for about 80% fewer seats. There were no seats at all in 56 of 67 MPhil and PhD programmes in 2017. The Commission’s regulations on staff-appointments have been cited to impose compulsory attendance norms for teachers in JNU. The only institutions which have seen an expansion in autonomy are the Indian Institutes of Management. Through a new law passed in December 2017, they became “institutes of national importance” like the Indian Institutes of Technology, and authorised to award degrees. The government surrendered all role in the appointment of their directors. Along with the efforts at standardisation, the University Grants Commission had been laying the framework for a slow withdrawal of public funds from higher education, in the name of ‘graded autonomy’. Under a new scheme introduced in 2017, colleges and universities that scored high in government assessments were offered varying degrees of independence from the Commission’s regulatory grasp. Partially or fully autonomous institutions will be able to start new programmes without permissions and little or no oversight as long as they do not seek government funds. Expansion must be self-financed, although experience has shown it leads to high fees and contractual employment. On March 20, 2018, the Commission granted 60 institutions autonomy although their administrators were themselves confused about the process. The withdrawal of university grants came with the idea of pushing institutions to raise funds from the market. For this, the Higher Education Finance Agency was created in November 2017. It is a non-banking finance corporation that gives infrastructure loans to universities and colleges. The institutions are expected to repay the principal amount within 10 years, while the government pays the interest. By the end of November 2017, Rs 2,066 crore loans had been approved for six engineering colleges. In some colleges, this resulted in an increase in fees and charges. In the 2018 budget, the ministry scaled this up by announcing the “Revitalising Infrastructure and Systems in Education” programme. It aims to route Rs 1 lakh crore funds to educational institutions over the next four years through the Higher Education Finance Agency. In December 2018, the ministry told Parliament that all funds for educational infrastructure in centrally-funded educational institutions will be in the form of 10-year loans. The ministry even wrote to Central Universities, asking them to sign an agreement which would bind them to raising such loans. The provision was interpreted as coercion and resisted by teachers. Delhi University, which refused to sign, found its funds had been stopped for a while. On January 10, 2019, Javadekar announced that the agency had approved loans amounting to Rs 30,000 crore. This included Rs 11 crore to each of 44 new Central Schools for their school buildings. But the agency itself seems to be struggling to raise funds. 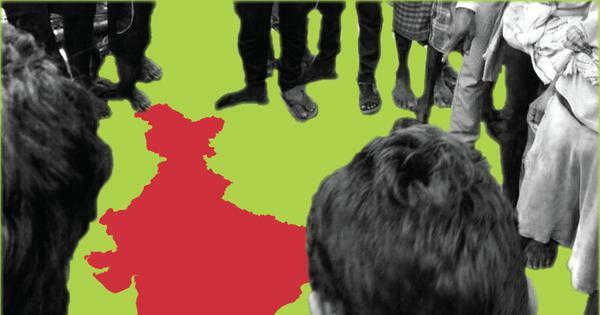 Where the Modi government launched new schemes for higher education, their scope was limited. In 2015, it launched a scheme called Impacting Research Innovation and Technology scheme, or Imprint, which was limited to the Indian Institutes of Technology and the Indian Institute of Science. The Prime Minister’s Research Fellowship, cleared in March, has been extended to only students of a few institutions. It comes with a generous starting pay of Rs 70,000 per month that would increase to Rs 80,000 in the fourth and fifth year. A total of 3,000 fellows were to be selected over three years. But only 135 were selected in the first year, with a bias towards applied science. The most controversial decision in the realm of higher education was the selection of ‘Institutions of Eminence’. In the 2016 budget, the government announced it would select 20 institutions, 10 each in the public and private sector, which would get funds and greater administrative autonomy to achieve top-500 positions in international university rankings. Eventually, only public institutions were eligible for public funding of Rs 1,000 crore each. But “greenfield” institutions, which were still to be set up, were allowed to apply for greater autonomy. The government received applications from 114 institutions, of which 40 were private. Eleven of them were greenfield institutions. On July 9, 2018, the first six institutes were declared “Institutions of Eminence”. One of them was Reliance Foundation’s Jio Institute. Reliance Foundation, which is the philanthropic arm of Reliance Industries, had taken the assistance of Vinay Sheel Oberoi, who had retired as Higher Education Secretary in 2016. It had incorporated the Reliance Foundation Institution of Education Research within a fortnight of the rules being notified – the rules specifically allowed promoters with no history of funding or running educational institutions to apply. Later, The Indian Express revealed that it was direct intervention from the Prime Minister’s Office that led to the weakening of regulations. In December, the committee proposed another 19 names for the tag but the University Grants Commission has deferred its decision on it. 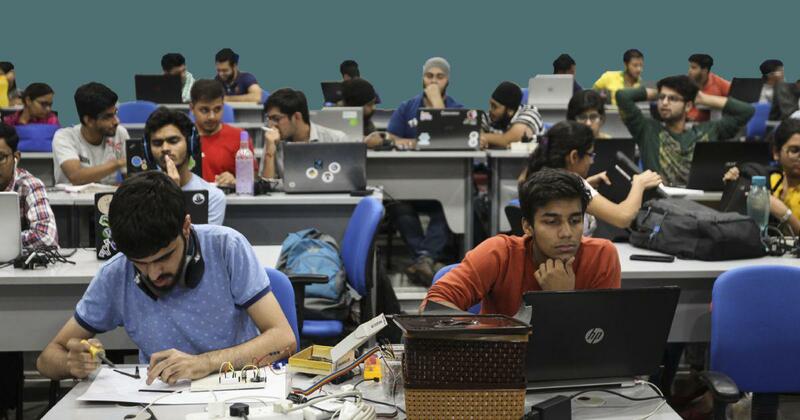 In January 2019, the Centre amended the Constitution to introduce a 10% quota for economically backward among the general category students in government jobs and higher education. Within a week, the ministry announced that the quota would be introduced in both public and private universities institutions from 2019. This was the first attempt by the Centre to introduce a quota in private institutions whose administrators wondered how the students will pay the steep fees. For public institutions, the new quota means an overall increase of seats by nearly 25%. Teachers said their institutions had neither the staff nor the infrastructure to handle the increase comfortably. In fact, the recruitment of teachers has been on hold. The University Grants Commission altered the guidelines for implementing reservation in response to a 2017 order of the Allahabad High Court and it resulted in a massive reduction in the number of posts reserved for teachers from Scheduled Castes, Schedule Tribes and Other Backward Classes. The government challenged it in the Supreme Court but unsuccessfully. For all the major decisions the country’s main higher education regulator took, its own future seemed uncertain. Through 2017 till the summer of 2018, the ministry planned the merger of the Commission with the All India Council for Technical Education and some other regulatory bodies. But on June 27, the ministry made public a draft law to reform only the University Grants Commission. The biggest among several changes proposed was to shift the funding functions from the Commission to the ministry. It made academics uneasy. They argued it would expose academic institutions to more intense political influence. This Bill, however, is yet to be tabled in the Lok Sabha.